Board-certified neuropsychologist Desiree Byrd, PhD, ABPP will present a lecture titled "Cultural Considerations in Neuropsychological Assessment." When evaluating if a person has a neuropsychological disorder or if they suffer from abnormal cognitive decline, health care providers often fail to consider the roles played by culture, ethnicity, and other factors, leading to disparities in health care access, delivery, and treatment among underrepresented communities. Byrd's talk will examine this, drawing from her research on and clinical experiences with health disparities in normal cognitive aging and cognitive dysfunction as they may be related to cultural identity and social justice. The lecture will consider the correlates of neuropsychological impairment in diverse populations in order to gain a better understanding sources of variance in cognitive test performance and how these can contribute to establishing more equitable services for marginalized populations. Byrd is a board-certified neuropsychologist, and an associate professor of neurology and psychiatry at Mount Sinai Icahn School of Medicine. Her interests in HIV/AIDS, substance use, and health disparities and culture in the expression of cognitive dysfunction in central nervous system disease especially in underserved populations. Her work has been funded by the Alzheimer’s Association and the National Institute on Aging, and it has been published in numerous neuropsychological, psychiatric, and medical journals. Byrd is an associate professor of neurology and psychiatry at Mount Sinai Icahn School of Medicine, and taught psychology at Bard High School Early College, Manhattan. 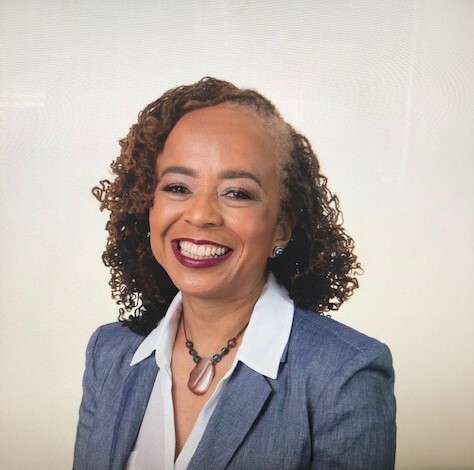 She has served on several committees for APA Division 40 (Clinical Neuropsychology), National Academy of Neuropsychology, the Harlem Community Academic Partnership, and the International Neuropsychological Society. She has published her research in numerous neuropsychological, psychiatric, and medical journals. The LaBerge Mind & Brain Speaker Series brings together scholars and practitioners in Berkshire County to explore, learn about, and discuss contemporary theory, research, and practice in the fields of neuroscience and neuropsychology. The series seeks to recognize, celebrate, and support neuroscience in the Berkshires. The theme for the 2018-19 series is Berkshire Connections, and highlights neuroscientists in the Berkshires or with connections to institutions in the Berkshires. The series name recognizes the contributions of former Simon’s Rock faculty member David LaBerge, whose work continues to make significant contributions to our understanding of consciousness, and whose teaching inspired many students at Simon’s Rock and elsewhere in the study of neuropsychology. Talks are held on the campus of Bard College at Simon’s Rock and are free and open to the public.